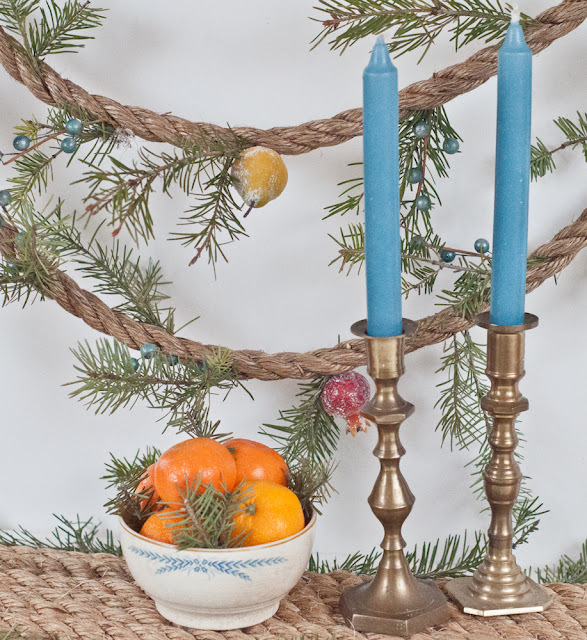 Christmas is such a busy time of year, but it's also our favorite time to decorate with unique items. We love ideas that pair simplicity with a stunning result! 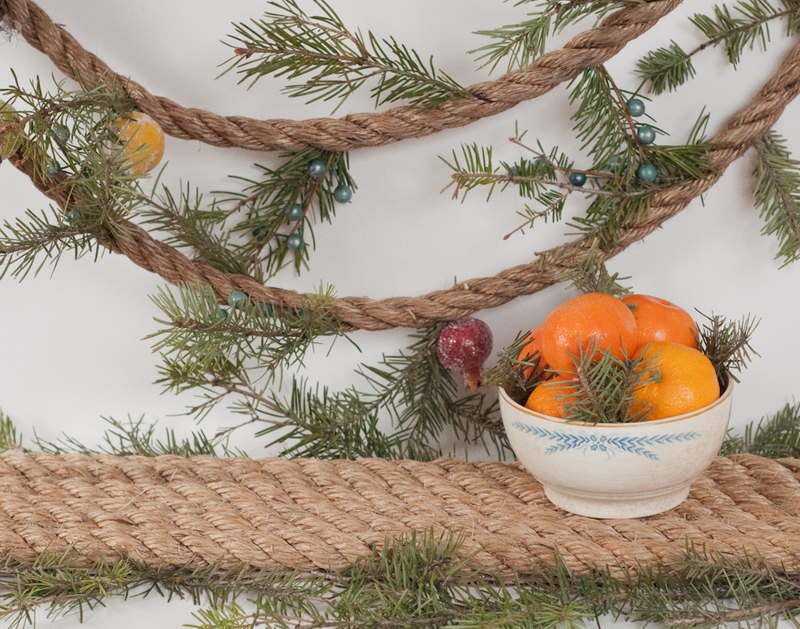 In the December issue of FOLK Magazine, we used thick rope to create a table runner, and a garland for the Christmas tree! 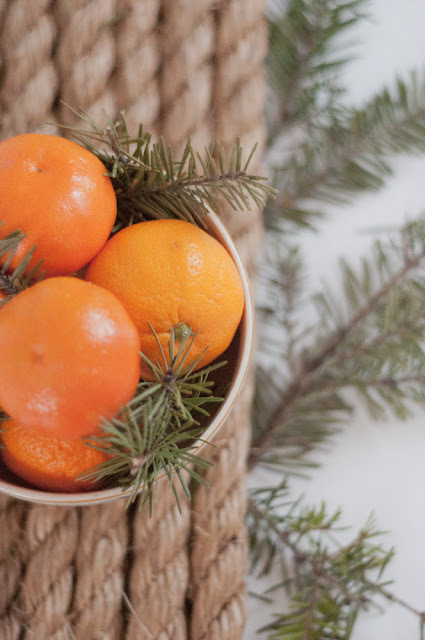 We thought we'd show you how to make your own...it's very simple, and the supplies are oh-so-cheap! Here's the easy part. 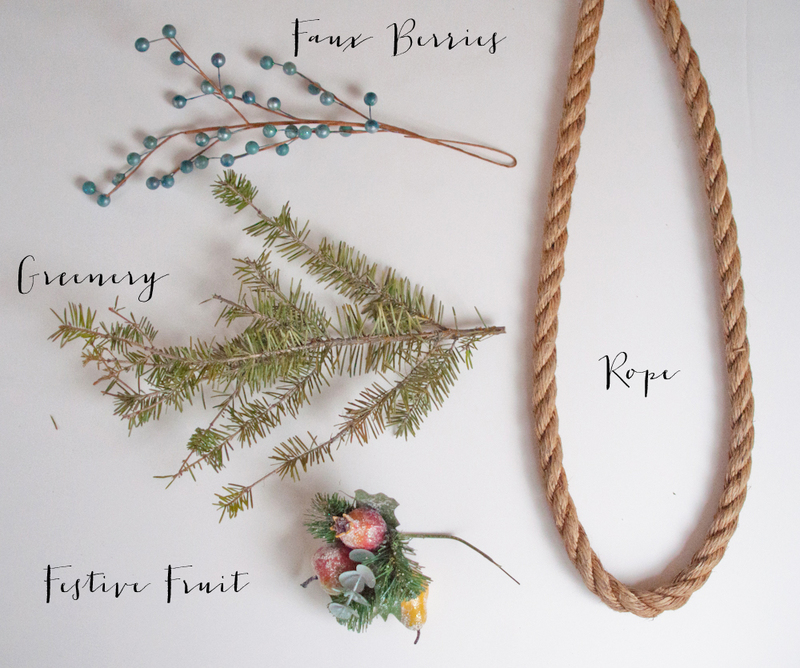 Cut the rope to your desired length, trim the berries, fruit, & greenery down until you have enough to cover the garland, and twist the rope so that you create spaces between the strands. Stick your embellishments in between the strands and let go! Continue up and down the garland until it suits your fancy, and you're done!!! 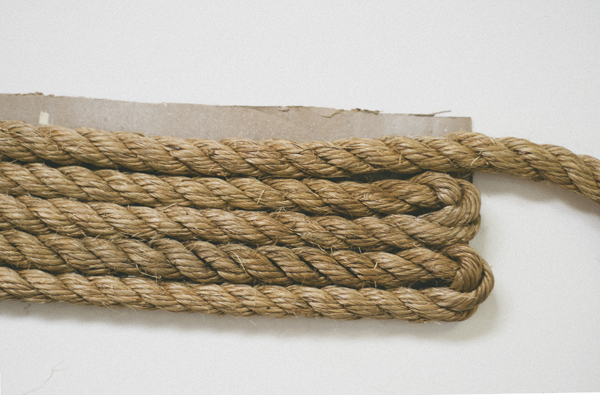 We love easy crafts like this. 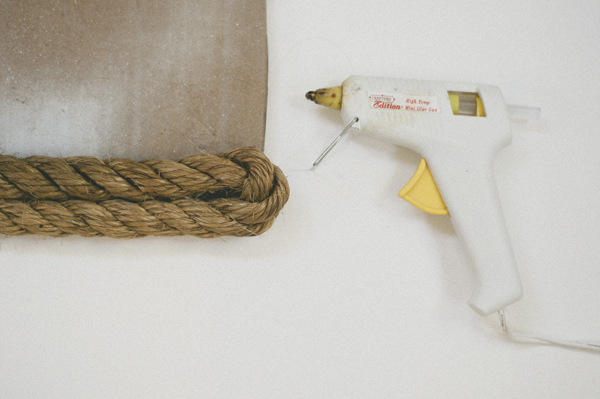 Begin gluing the rope to the piece of cardboard. 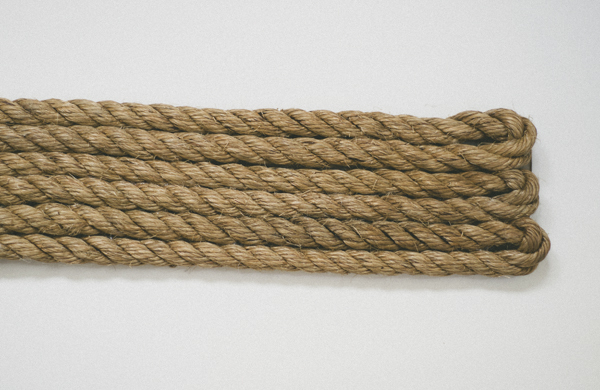 ...until you've covered the entire piece of cardboard with your rope! It's done! So simple. 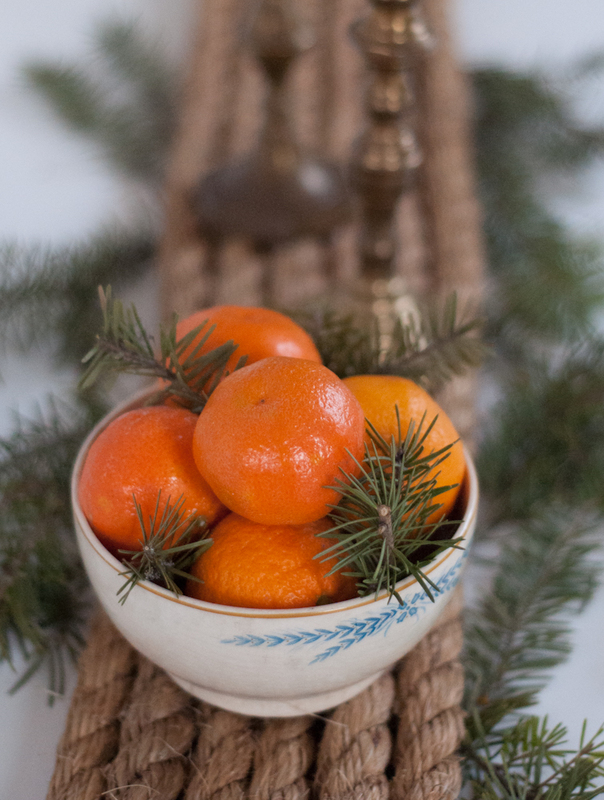 A great addition to your Christmas table -- what do you think? natural, rustic, homey and creative...I love it! Thanks so much, Sherry! Hope to provide you with more creative inspiration! i need to make this runner. I hope you'll send us a picture when you do make the runner. Sooo easy!! I really like this. It's so unique and creative. Thanks Danette!! We're always trying to come up with unique ideas, which isn't always easy. Thank you so much for your comment! Hi it's me, I am also visiting this site daily, this site is genuinely pleasant and the viewers are truly sharing good thoughts.